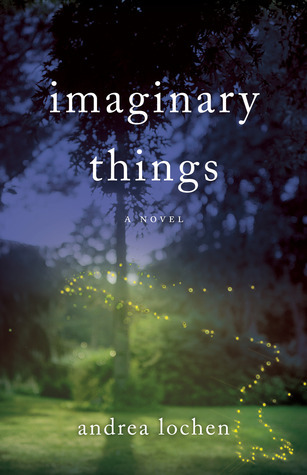 Imaginary Things is a novel of the magic realism genre (which happens to be my favourite). This is Andrea Lochen's second novel, and has achieved some good reviews on Goodreads, which is why I was drawn to it. Without really being able to put my finger on the reason, I feel a bit let down by this novel. The premise is brilliant: Anna Jennings moves to her grandparents' rural home for the summer with her four-year-old son, David. She begins to see shadowy creatures around David, making her fear for her own state of mind and David's safety. With the threat of David's biological father looming over, Anna needs to understand the mysterious phenomenon in order to protect her son, and learn something about herself. Overall, I give Imaginary Friends 3 out of 5 stars. Reviewed by Amanda Kennedy on 24th May, 2015.